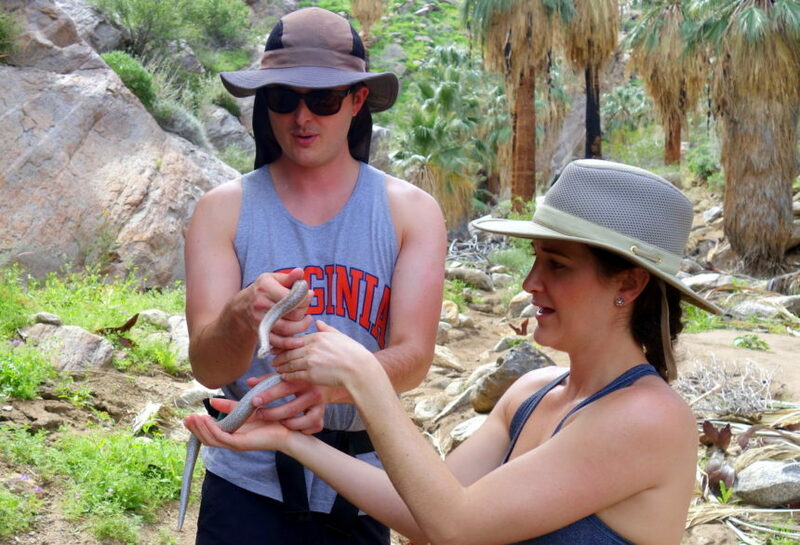 The key to hiking Coachella Valley is knowing what to look for. 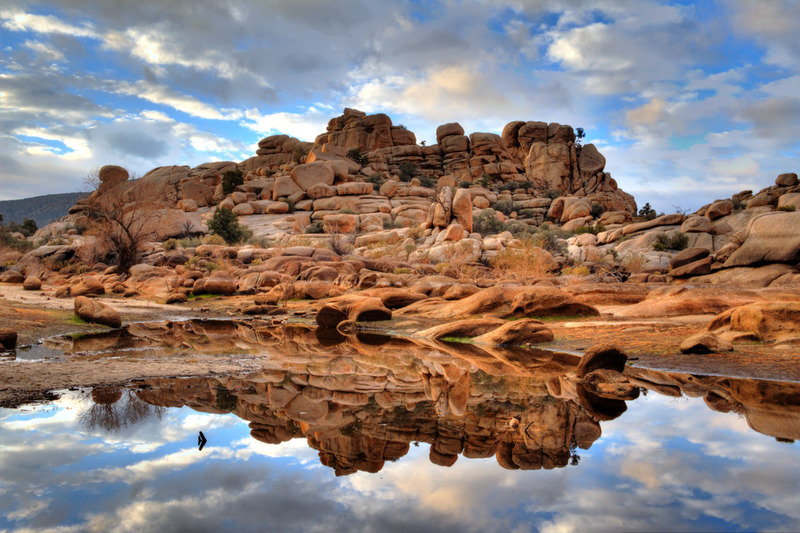 Like at Inspiration Peak or Lost Palms Oasis, where even the smallest elevation gain yields incredible, widescreen landscape views over the entire Joshua Tree National Park. Or that the best way to find “hidden” water in the middle of the desert may be the Palm Canyon Trail to the Stone Pools, one of the many paths through Indian Canyon. If these names seem unfamiliar, do what an increasing number of Two Bunch Palms guests are doing: Find someone to whom these trails, and the other scores of hiking opportunities, are anything but. It’s been almost 30 years since Scott Scott (yes, that’s his name) moved to the Palm Springs area, and 20 years since he officially went into business as a hiking guide, leading outdoorspeople and weekend warriors alike into the Coachella Valley and valley-adjacent wilderness. 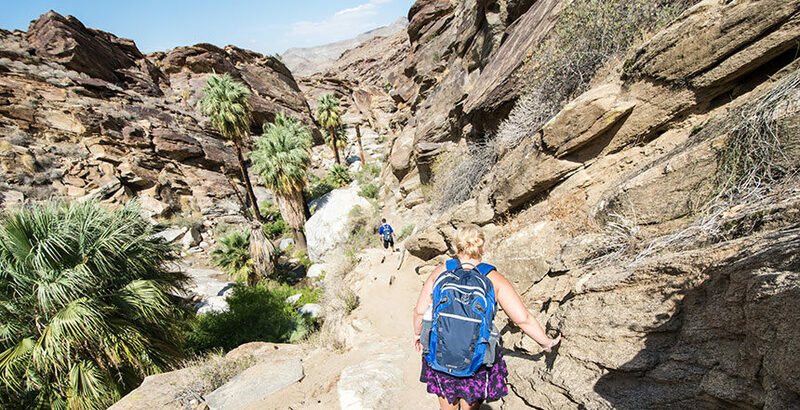 There are dozens of hiking trails throughout the Coachella Valley and neighboring Joshua Tree, offering as many opportunities to get outside as one could take advantage of for years of visits. Information about every one of them, from distances to expected circuit times and even GPS coordinates, can be found all across the Internet. In fact, the entirety of the outdoors seems to be at a web surfer’s fingertips, with gigabytes on gigabytes worth of information for any would-be adventurer. So why, in 2017, would a traveler still hire a guide for a hike? We asked Scott and, like a good trail guide, he had the answers. Direction: “Yesterday, I had this couple from New York,” Scott says, “and they said their main concern was they just don’t want to get lost.” Desert trails, in particular, can be hard to follow. Without as many natural impediments to shortcuts, hikers can create new paths at their leisure—making trails less worn and, as follows, less visible. In the electronic age, it would seem that there should be apps and devices that would assist solo hikers. And while they can help, a combination of the desert heat and signal unreliability make depending on a cell phone risky. Knowledge: From the history of the Cahuilla tribe which inhabited the region to the area’s Modernism architecture influences, Palm Springs and its surrounding environs inspire curiosity from visitors. Having a guide while exploring means an in-the-moment education and context to the vistas. Safety: While many of the trails in the Coachella Valley can be navigated by beginners, hiking in the desert comes with its own set of dangers. “One false thing – not carrying enough water, starting too late in the day when the heat’s going to hit you, or not being able to navigate at the junctions – and you’re in trouble,” Scott says. Scott swears by the hiking guide experience so much, he’s looking at working with one as he starts to explore his latest obsession: southern Utah. To book a guided hike during your stay at Two Bunch Palms, reserve directly or contact the resort at 760-329-8791.